Since 2011, countless so-called experts have been predicting the death of Bitcoin over and over again. There is even this website that counts how many times Bitcoin survived and kept thriving when, according to “experts”, it was supposed to die. Since Bitcoin is apparently not going anywhere anytime soon, you might be thinking of getting your hands on an ASIC miner to get some BTC in your wallet. In this article, I have compiled a list of what I believe are the best ways to get Bitcoin. This list describes the top 6 ASICs for BTC mining, as well as two cloud mining companies that proved to deliver as promised. If you are not into cryptocurrency trading and speculation, you might want to mine your Bitcoins instead. By mining you support the cryptocurrency and get some money in the process too. What is good about mining is that by using an ASIC you get a passive income, rather than profit one time from a lucky trade. Cryptocurrency trading might be potentially lucrative, but it requires you to be immersed in the world of cryptocurrencies 24/7. The more immersed you are, the more chances you’ve got to profit from cryptocurrency speculation. Mining is different. Personally, I see mining as a way to create a steady flow of Bitcoins into my cryptowallet, rather than a way to get rich quickly. That being said, there are hundreds of people who made millions dollars with Bitcoin. There are many people who pay their bills by owning massive contracts with Genesis Mining or by operating their own mining farms. While more than one thousand people proved that one can make a living by mining cryptocurrencies, I would recommend you to start with lower expectations. The cryptocurrency market is complex and despite its average rising trend, it is rather unpredictable in the low scale. It might be also a good idea to start small and invest only the amount you can afford to lose. Bitcoin mining requires quite a solid investment in order to provide you with a noticeable monthly income, which is why some newcomers are tempted to invest into mining more than they should. This creates unnecessary expectations and contradicts to the goal of mining, which is to have a passive income, rather than to make a million bucks in a month. 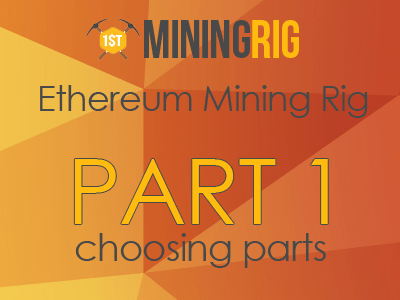 All of the mentioned means that the following list is based on the idea that mining is meant to be a mid- or long-term investment. When I review mining equipment, my main criteria are longevity and hashrate/power usage ratio. So, how to mine Bitcoin? There are essentially two ways to mine Bitcoin. One is by owning Bitcoin mining hardware: In this article, I will be talking about what I think is the best Bitcoin miner, as well as five others that are close to it. The other way is by purchasing a cloud mining contract and delegating the job to maintain the mining gear to a third-party company. Some people are reluctant about cloud mining since there used to be some cases of fake cloud mining companies scamming their customers. I am aware of the risks and I will talk about two companies that proved to be legit and trustworthy. Here is my list of the best Bitcoin miners. Now you know the criteria I’m using to determine which miners should go in the list, so you probably won’t be surprised about my best Bitcoin ASIC miner pick. The good thing about a list is that if one of the miners is out of stock, you can still consider the others. Some of those are meant for home mining, while others are either too noisy or too big and can only be properly used in a specialized farm (which might be a clean and properly cooled garage or basement). The AntMiner S7 was released in mid-2015. Back in the day, with Bitcoin being priced at $225 USD and the difficulty being a fraction of what it is today, the AntMiner S7 was considered one of the best miners for the coin, as well as it featured a very promising ROI. It also was one of the game changers for the Bitcoin mining community. Two years have passed by and some think that the AntMiner S7 is no longer viable for mining. The reason is simple: if we calculate the profit based on the hashing power, electricity costs and mining pool fees, the AntMiner S7 ASIC Bitcoin often gives either negative or near zero profit. Today, with Bitcoin being priced at $ 3836.95, this ASIC delivers only about $ 1 USD a day, all fees included. Your question probably is – why is this ASIC in this list? The reason is simple – if we think of mining as a way to convert fiat currencies into BTC, then the Antminer S7 might be considered a great option. While you probably won’t be expecting any additional passive income from this miner, not with BTC being priced at $3836.95, you can still use this little piece of equipment to safely and steadily convert your dollars into BTC. The main pro of this ASIC is its durability. Many S7s have been mining for two years now and they keep hashing the way they used to do. This is a good sign and it makes the S7 a good pick for those who are not rushing anywhere and who want to play it safe. The AntMiner S7 features a strong metallic case and dual fans for stable cooling. It can operate between 7 C and 40 C ambient temperature, which makes it suitable for home mining too, if you don’t take into account the noise it produces. It is indeed quite noisy with tests showing a sound level of about 63 dB. This is not the best power efficiency one can find on the market today, but again, as I’ve already mentioned, the selling point of this miner is its durability, rather than power efficiency. The next Bitcoin ASIC in our list is the AvalonMiner 721 – a miner by Canaan released in 2016. The Avalon 721 is smaller and lighter than Bitmain’s miners, being only half of the weight of the Antminer S7. However, by some reason, the 721 manages to output some nice hashrate and one year later it is still considered a solid miner. Canaan interactive is a China-based company that is focused strictly on manufacturing Bitcoin ASICs. The Avalon 721 is based on 16nm chips, which allows it to be more power efficient than the aforementioned Antminer S7. In fact, the 16nm technology is still considered close to the cutting edge. This means that the ASIC still got a long life ahead. ROI-wise, the AvalonMiner 721 is rather an interesting case. As for today, it features ROI of somewhere between 8 and 12 months, depending on the price you pay for it. Back when the miner was released, in December 2016, its ROI was 24 months. The power efficiency and durability of the 721 allow it to stand the test of time and actually become more profitable by the day. As for today, the ASIC produces about $123.41 USD monthly, fees included. If you like the AvalonMiner 721, you might like its successor too – the AvalonMiner 741. This miner is still based on 16nm chips too, however due to some important software and design optimization, this new model features even higher hashrate. Efficiency-wise, the Avalon 741 still got the same 0.15 W/Gh, but thanks to the optimizations its base price is about 20% lower than the one of its predecessor. The AvalonMiner 741 looks really solid – it features an aluminum shell and custom heatsink with airforming technology. All of this makes me believe that the miner won’t be breaking anytime soon. This is even more believable since Canaan has a reputation of manufacturing quality products. Noise-wise, the Avalon 741 can be considered a home miner in the case you live alone or your neighbors don’t mind the 50-60 dB noise. Otherwise, it might be a good idea to keep it in a dedicated mining farm (whether it is a mining office or a properly configured garage). If you want a miner especially designed for home mining, then check the next one in the list. The Antminer R4 can be considered the most popular Bitcoin home ASIC miner. While the miner is big and heavy, it produces only 51 dB of noise. According to loudness scales, 51 dB can be compared to the noise level of a quiet office or a refrigerator. As for today, the ASIC mines Ƀ 0.07031/ month or around Ƀ 0.8554 /year. Considering the upward trend of Bitcoin, this translates to $208 USD/mo profit. This is also why few people are willing to sell their R4. New miners are not available for sale either. Last time I’ve checked, the cheapest R4 for sale was priced $ 3.200 USD per unit, used. Even then, it features 18 months ROI, which is actually not bad for a Bitcoin ASIC. The AntMiner T9 is still one of the most sought-after Bitcoin ASICS. It features great power efficiency, as well as a solid metallic shell and equally good cooling system. The T9 is one of the newest Bitmain’s additions to the ASIC market. It features 171 16nm chips that output between 11.5 TH/s and 12.5 TH/s, depending on the batch. The best thing about this Bitcoin ASIC miner is probably its availability on the market. While ASIC availability changes overnight and tomorrow things might be different, today the AntMiner T9 is on sale at a reasonable price in several sites. By having an average price tag of $1.600 USD, the T9 features 7 months ROI. As for today, the AntMiner S9 is widely praised as the best Bitcoin miner. I completely agree with the public opinion on this miner. The S9 features better power efficiency than the T9, which makes it even a better option for long-term Bitcoin mining. In fact, I still got to find a miner that would have better power efficiency than the Antminer S9. This ASIC is easy to operate and it takes only a couple of minutes to set it up. You don’t have to be a mining guru to be able to profit with this miner. I agree that not anyone can afford to have their own ASIC at home for various reasons. In some cases, your roommates might oppose to home mining because they don’t like the constant noise the miner produces. Or there might be no room for a miner in your apartment. Or, depending on where you live, electricity might be really expensive at your place rendering mining unprofitable. There are several reasons why far from everyone can mine from their homes. Luckily for us, there is a way to enjoy the benefits of mining without the need to have a miner at home. I am talking about Bitcoin cloud mining. There are companies who rent hashrate. Investing in a cloud mining contracts can be compared to investing in a company – you pay a fixed amount upfront and then your income depends on how the value of the company (in this case, the value of the cryptocurrency) evolves. Electricity and maintenance fees are usually included in the price in the case of a limited time contract. Usually, cloud mining contracts offer a ROI of 18 months. Depending on Bitcoin price/difficulty fluctuations, this might go up or down. I am talking about legit companies here. Scam ones often attract unsuspecting victims by offering them 3-5 months ROI contracts. Those are indeed unrealistic numbers and anyone who is not new to cryptomining can spot what’s wrong. The two companies I am going to talk about here have stood the test of time. That being said, there is always that guy who gives negative rating to a functioning and honest company. Also, as always, please take what you read with a grain of salt and make your own research. Genesis Mining owns farms in Bosnia, China and now Iceland. The company was founded in late 2013 and since then it proved to work as intended. They do face some technical difficulties from time to time that result in payoff delays but at the end of the day people still get their money. Newcomers sometimes start to panic when they don’t get any BTC the first month after they’ve purchased a contract. Most negative reviews about Genesis Mining are based on this. I guess it is worth mentioning that the company will hold the Bitcoins you’ve earned the first 30 days after you’ve purchased the contract. You will get your BTC 31 days after you’ve bought the contract. The reason is simple – credit card payments have a 30 day refund policy, so anyone can potentially exploit this to get infinite hashrate from GM for free. This is why Genesis Mining freezes your income for the first 30 days in order to avoid being scammed by its own customers. People who bought their contracts with Bitcoins start to get their profit the same day. However, the minimum payout amount is 150.000 Sat. Funds will be accumulating until the amount to be paid becomes more than 150.000 Sat. This means that people who got their hands on small Bitcoin contracts will not get paid on a daily basis. Genesis Mining’s Bitcoin contracts are out of stock now, but they might get more hashrate for sale since they are eventually in the process of amplifying their farm. The next company in the list is HashFlare. HashFlare is younger than Genesis Mining, but it managed to achieve popularity rather quickly thanks to its competitive rates. That was the reason why some people at first labeled it “scam”. Luckily for those who purchased contracts from HashFlare, the company never stopped to pay its customers. Initially, the company was offering lifetime Bitcoin mining contracts. However, some days ago, Hashflare suddenly announced that they are no longer supporting lifetime contracts. Customers who paid for a lifetime contract will still have their contract expired in one year from the day this news was announced. The community didn’t like this news at all. You can now find a lot of people on the web labeling Hashflare “scam” once again. While what HashFlare did wasn’t really ethical, it was not straightforward scam either. Mostly because in the Terms and Conditions they wrote that they will probably change the duration of contracts in the future. Whatever is the case, their SHA-256 contracts now are 1 year long and according to mining calculators, the ROI of such contracts are about 1 year too. This means that those who invest into a HashFlare contract are signing up for a slow USD -> Bitcoin conversion, rather than for a passive income. Cryptocurrency market is evolving rather quickly, so don’t take this short Hashflare review as the ultimate truth. While today might be not the best day to invest into a Hashflare cloud mining contract, it is worth keeping an eye on their plans, in case they offer something more interesting. As for today, the cost per 10 GH/s for a year is $ 2,40. They also ask you to pay the maintenance fees, which add another $ 1,27 USD per 10 GH/s per year. With today’s Bitcoin difficulty and prices you can expect an income of $ 3.55 per 10GH/s, excluding fees. If we include fees, we will get a 2,28/year income, or $ 0.12 USD loss per year, taking into account the price tag of the plan. It is time for me to conclude this list with this question: Is Bitcoin mining worth it? The answer is up to you. Depending on your ambitions, expectations and willingness to accept risk, Bitcoin mining might or might not be your thing. In my experience, getting an ASIC always pays off, unless you get a really old one which can not cover electricity costs. Cloud mining is the plan B for me, since I can mine at home. However, I know several people who have been using Genesis Mining services for years now and they have no complains about it.